TopCashback’s popular boosted rebate of up to 15% cashback for IHG hotel bookings is available again this weekend. If you have some IHG stays coming up soon, this is as good as the cashback rates get, so you might want to take advantage. The boosted rates won’t be around for long (the screenshot above was taken last night), so don’t hang about if you want to book. 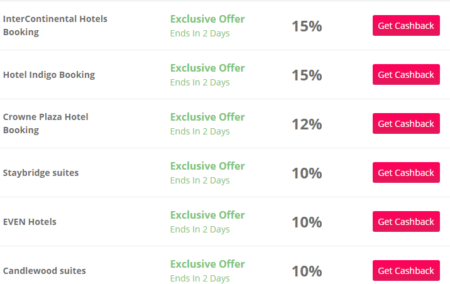 IHG was missing from cashback sites completely for a long time and then came back with standard offers topping out at ~ 8%, so this is a substantial improvement for at least some of the brands. You get a 5% bonus if you choose to transfer your cashback to British Airways Avios, so the 15% cashback for Intercontinental stays would work out a rather nice 15.75 Avios per £1 spent. Whether transferring TopCashback credit to Avios makes sense, or not, is a different question. 15% cashback for IHG hotel bookings is an excellent bonus for just an extra couple of clicks. Remember that you will still earn IHG Rewards Club Points from your stays as usual – the cashback is on top of that, so it is a genuine extra. 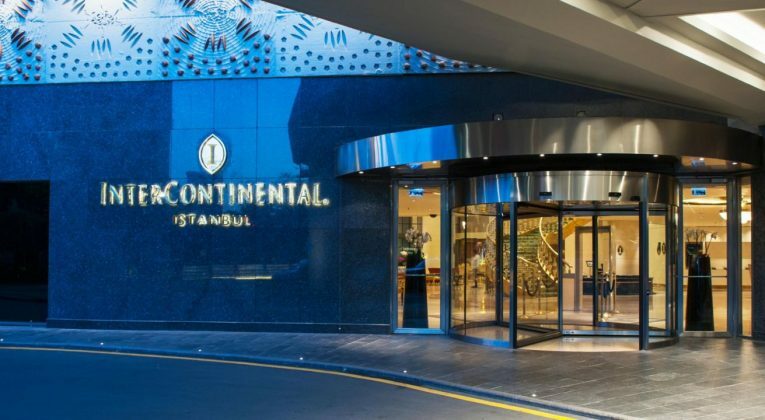 IHG’s current ‘Accelerate’ promotion finishes at the end of April, so if you need to squeeze in a final stay or two, now could be a great time to book. You will only guaranteed to get this cashback if you book the flexible – most expensive – room rate. I am yet to receive cashback on any IHG bookings, despite whatever the TCs say. You have nothing to loose by booking through TopCashback of course. Have you tried chasing it up with TCB? I’ve not personally had any problems with IHG bookings (Hilton is another matter…), most of which have been advance purchase, not flexible. If you can’t get anywhere with the standard TCB customer service, feel free to drop me a note at joe@insideflyer.com and I’ll forward it to our contacts at TCB, who might be able to help. Thanks a lot, very kind of you but I have already followed the standard way of chasing up a cashback and IHG has declined the cashback again. I think that TCB does not get comission from any reduced room rates hence they have nothing to pass on to us consumers. Yes, there was certainly some issues with Hilton not paying up to cashback/affiliate sites I believe. With IHG, is it normal advance purchase rates they are refusing to payout on, because I’m sure that’s not right. I know from personal experience that using the Mastercard rate (or other partner rates), can mess the cashback up (not always though..), but I’ve always been fine with ‘normal’ bookings.